In the world of Swiss watchmaking, it can be difficult to compete against established manufacturers. 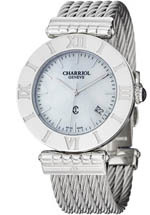 Yet Charriol watches, available only since 1983, have managed to do that by incorporating unique styling and good quality and creating fine timepieces that look great for any occasion. Lots of people own the big “famous name” timepieces, but if you want something that will truly attract attention and will likely run for a long time, you should definitely consider Charriol watches when shopping for a luxury watch. Read on for the full Charriol watches review. The build quality is quite good; the company uses stainless steel, high-tech ceramics and gold for their cases. The all-important watch face is protected by scratch-resistant, anti-reflective sapphire crystal. Water resistance is good, but modest; these are fashion watches and not diving equipment. Most models are rated at about 30 meters, with a few offering somewhat more. All Charriol watches are Swiss-made, and you’ll find that these timepieces should run well for a long time with proper care. 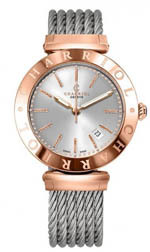 Charriol watches use both quartz electronic movements and automatic movements in their timepieces. Approximately two thirds of the product line uses quartz, with the remainder using automatic movements. All are Swiss-made, and they’ve occasionally produced elaborate mechanical movements, including at least one limited-edition model that featured a tourbillon. The primary innovative feature is their use of cable in their designs. Gold and stainless steel cable is featured prominently in the bands of a number of their models, and this feature is unique to the brand. While this company isn’t really known for coming up with new features, they don’t shy away from elaborate existing ones, so you’ll find models with chronograph features as well as the occasional wild card that might include features such as the previously mentioned tourbillon. Styling leans towards the fashionable; if you’re looking for a timepiece that will look great for a formal evening on the town, this is the brand for you. Gold, silver and diamonds are not scarce in the product line and the cable that appears in many of their models adds an interesting touch of the industrial to their otherwise glamorous products. They do make a few sports models, as well as a few watches that feature more traditional styling, so most everyone will find something in the product line that suits their tastes. You won’t find too much color, so if you want watches that are pink or orange, you’d be better off looking elsewhere. Displays are all analog, and straps are available in leather, rubber, stainless steel and with either steel or gold cabling. These are, on the whole, quite attractive timepieces. The care and maintenance will vary, depending on the model. Most models feature quartz movements; if you have one of these, you will need to have the battery replaced every two years or so, but aside from that, you won’t have anything else to worry about. Models with mechanical movements should be inspected by a qualified service technician to ensure that the parts are working properly and that the movement is properly lubricated. This should be done every three to five years. Aside from these issues, you should store your watch in a cool, dry place and keep them away from extremes of temperature or strong magnetic fields. With proper care, you will likely get decades of use. The warranty is average; the company warrants their products to be free from defects in materials and workmanship for two years from the date of purchase. This is more or less the standard warranty for watchmakers. While we wish that more companies offered longer warranties, two years is what about 90% of manufacturers have agreed upon. 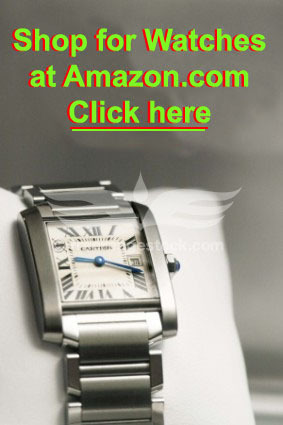 Still, these watches are rarely going to have defects, so this should be of little concern when making a purchase. As luxury timepieces go, you’ll find prices to be moderately expensive. An overall glance at their pricing shows the least expensive models being priced at about $1000, with their standard models topping out at about $12,000. They do occasionally produce limited edition items, and by limited, we mean really limited. 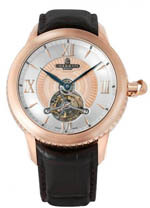 Their Colvmbvs model, which included a mechanical movement with a tourbillon, was limited to only three pieces. It was also priced at $103,000. While such prices are at the high end of the luxury watch pricing spectrum, they’re not typical of the company’s products, as most models can be found in the $1000-$5000 price range. Collectors really haven’t begun collecting the brand in earnest, so you won’t see massive appreciation as models go out of production, though that could change over time, especially if they continue producing such extremely limited special editions. As with most luxury brands, you’ll find the pricing and distribution of this brand to be strictly controlled, as the company wants to keep demand ahead of supply. This ensures that prices remain high and that the public perception of the product is that it’s rare and unusual, rather than ordinary or common. That being the case, you’re going to find these watches only at a few select retailers, which are mostly high end department stores and jewelers. Unofficially, you can find them for sale at a few Internet retailers, and that will present your best opportunity to buy at a discount. As a number of the company’s products are limited, don’t expect any retailer to have everything in stock. Still, most retailers should have a good representative sample of the product line for sale. If you want a glamorous, luxurious watch with stunning looks, great build quality and that certain something that comes with buying a brand that isn’t all that well known, you’d do well to consider Charriol watches when making your next timepiece purchase. They’re pretty, functional and are well-made, so they’re going to last a long time.